The World Boxing Super Series has been, by almost any measure, a resounding success thus far. This fact was confirmed in most dramatic fashion a week ago when Mairis Briedis and Oleksandr Usyk put on a 12 round show that was as entertaining as it was competitive, the final result a close points win for Usyk. 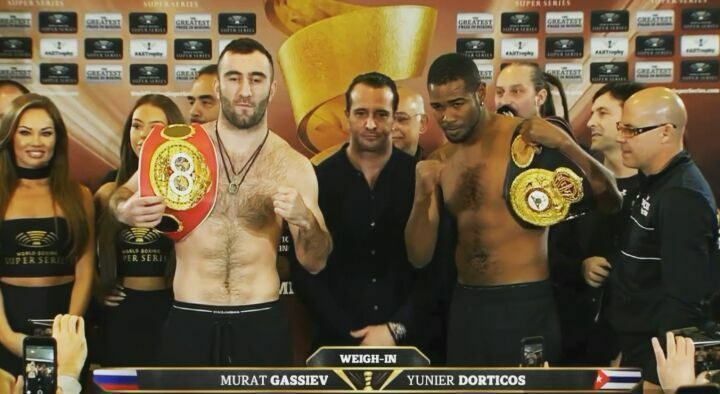 The other semi-final in this tournament of cruiserweight champs was set for one week later, Murat Gassiev vs Yunier Dorticos for the IBF and WBA titles. With boxing fans raving about last week’s clash, there was more interest than ever for the next step towards unification. 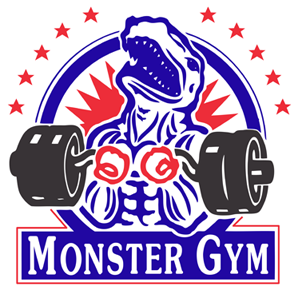 Both fighters were coming off impressive knockout wins and thus Dorticos vs Gassiev figured to be a battle where power and toughness would decide the outcome. And, to the delight of boxing fans everywhere, that was indeed the case. Last week we had declared Usyk vs Briedis to be an early but likely strong candidate for 2018’s Fight of the Year, but in fact it may have been eclipsed by the epic confrontation that unfolded at the Bolshoy Ice Dome in Adler, Russia. Gassiev and Dorticos weigh in. The early rounds looked good for the 31-year-old Cuban they call “The KO Doctor” as he seized the initiative and forced Gassiev to give ground. Dorticos was controlling the action with aggressive footwork and a busy jab and after four rounds he had built a solid lead. 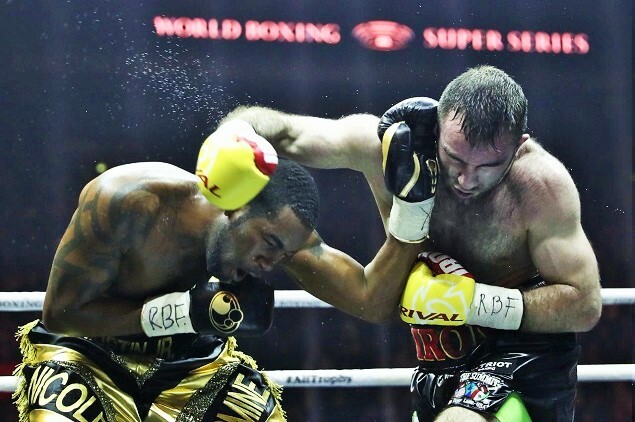 Gassiev appeared tight and perhaps overly cautious of the Cuban’s power, though in retrospect it’s clear the strategy was to be patient and wait for the chances to come in the latter stages. 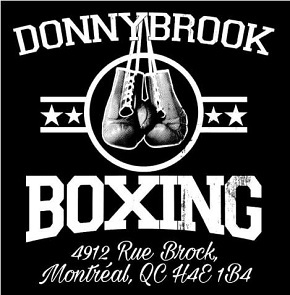 Dorticos takes the fight to Gassiev. The turning point came in round five when Gassiev stunned his taller opponent with a vicious left hook. Dorticos never stopped pressing, but now he was paying a heavy price as the Russian let his hands go and landed uppercuts and hooks to both body and head. It was now a war of attrition with the fighters standing toe-to-toe and trading with abandon, both throwing, both catching. The difference came down to raw power; Dorticos, who displayed truly amazing durability, was landing and at times stopping Gassiev in his tracks, but the more telling and hurtful blows were coming the other way. 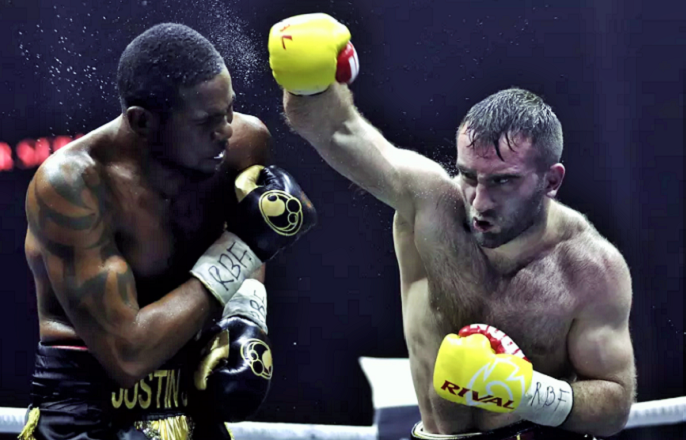 As the battle entered the late rounds all could see that Dorticos was tiring while Gassiev was gaining control. 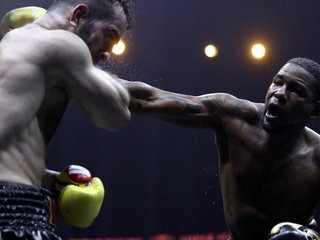 In round 11 the two warriors went back and forth, exchanging power shots at close quarters before a snapping uppercut from Gassiev almost put Dorticos down. In fact, the Cuban certainly would have hit the canvas had he not hugged the Russian and held on for dear life. Once separated, the fighters went back to slugging it out and Dorticos showed astonishing courage as he stayed in the pocket and kept slinging leather. However, that was the Cuban’s last stand. At the midway point of the final round, a vicious counter left hook by Gassiev put Dorticos down hard. Somehow he beat the count but he was spent, his astonishing courage betrayed by legs which could barely hold him upright. 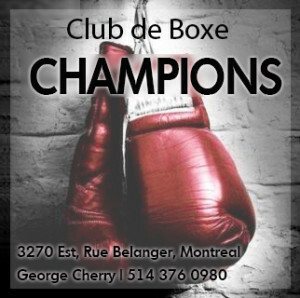 Another knockdown came and then Dorticos was taking shot after shot as he struggled to make it to the final bell before he toppled through the ropes and the referee finally signaled that enough was enough. Thus, a dramatic and grueling fight was ended in a most emphatic manner, a conclusion that did justice to both warriors. Fittingly, both men showed nothing but class after their exciting war, with Gassiev calling Dorticos “a great champion” and comforting his distraught opponent at the post-fight press conference. No doubt the most interested spectator seated ringside at the Ice Dome was one Oleksandr Usyk. All four major world titles plus the Muhammad Ali Trophy will be on the line come May 11 when Usyk and Gassiev do battle in the tournament final. Need we say more? 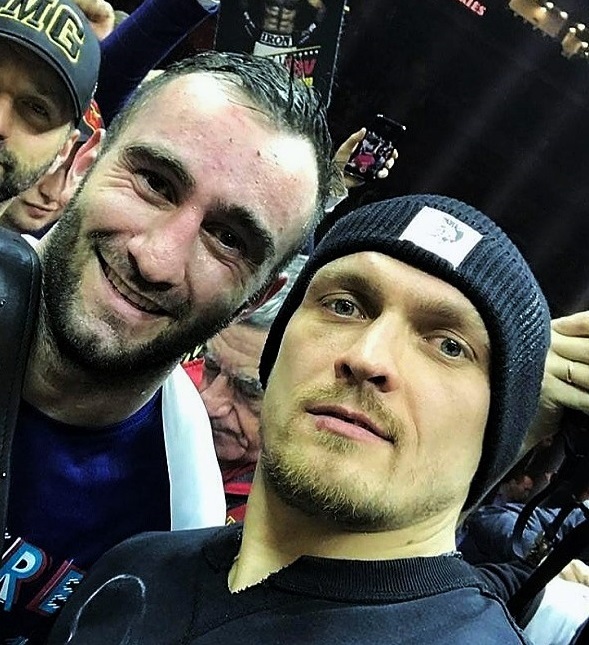 Gassiev and Usyk following the fight. And indeed, Usyk vs Gassiev figures to be another exciting showdown between two elite talents, not to mention a clash between the two best cruiserweights in the world to decide the division’s undisputed king. And after two back-to-back thrillers, here’s hoping the final battle in the tournament does justice to all the guts and skill and punishment and bravery that was on display both this week and last. We can hardly wait.